McDonald’s has been exploiting children with their cheerful clown Ronald for decades. He is now more recognizable to our youth than Santa Clause. Go to the Retire Ronald website to learn more about their campaign and ways you can help. Entry filed under: Food Policy, In The News. 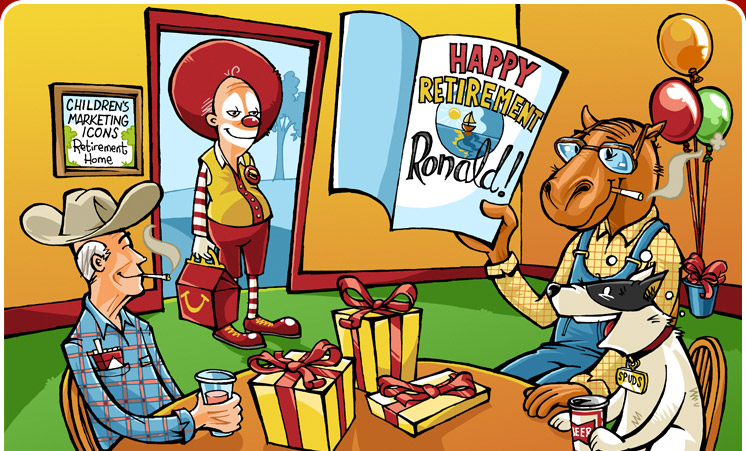 Tags: McDonald's, Retire Ronald.